Already said in other stories posted here today my friends, however check out the coments! Not a fan of tomato, myself. Too acidic and makes the sarnie sloppy. But at least it's honest. It's not trying to be the savour of the poor lettuce, allowing it to sit in it's sandwich, while ripping it off for all it's worth. Poor bread is usually the killer of a good sarnie. Cheap margarine can also sour the experience. VAT on cold takeaway sandwiches. Shocking! There's something wrong with that sandwich. The bacon should be the thickness of the tomoto&lettuce, and vice versa. 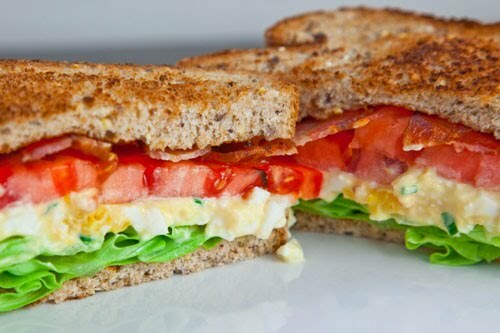 Shame you can't get a BLT with real bacon in it instead of that nasty American streaky sh1te.